In October I had the good luck of meeting and Interviewing Graeme Simsion, author of The Rosie Project. He was a guest of the Ballarat Writers for one of our ‘Reading Nights’ where we host a guest author to discuss all things writing with our members. There was much excitement about Graeme’s visit due to the success that The Rosie Project has had this year. I held off buying the book so that I could get a signed copy on the night (I’m always secretly worried that our guests will travel from Melbourne and get zero book sales, a small turn out, then a long and lonely drive home.) I’ve had a chance to read the book now and I can see why it’s been a hit. However what I learned from my interview and Graeme’s presentation was more about what makes some people succeed. I’ve interviewed quite a few writers before and I’ve also attended many workshops, festival talks and industry events and I’ve met my share of ungrateful, pompous and rude authors. Graeme Simsion was none of these things. I’ve made a list if things that made me enjoy Graeme’s visit and things I’ll keep in mind for my own career. Make time for the little people. When our committee contacted Graeme and his publicist at Text they were always courteous, treating what could be seen as a quaint writers get-together as a professional and important event. While most writers do this I have had experiences where people think that smaller events aren’t worth their while, and I imagined that Graeme may just feel this way. To put it into context – Graeme interrupted a dinner to take a call to do a community radio interview with me on a Wednesday night (in fact he stood on the street in a Melbourne laneway to take the call). He then drove to Ballarat for our event on Thursday night. On Saturday he was flying to the US where The Rosie Project had just been launched, he’d just signed the film rights and he would be flying on to Europe for another tour after that. So if he had of said that he didn’t have the time for my little radio gig I would have understood. Welcoming members to the reading night. When our members arrive for our monthly reading event a committee member will greet them, collect our small entry fee and leave them to mingle. Graeme met each member with a smile, introduced himself and asked their name. I’m a professional facilitator and I know how important this small step is. Do I do it every time I run training? Probably not. But I’ll make sure I do from now on because it created such a great sense of community before the event even began. Engaging Speaking. 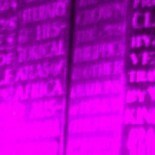 I think we’ve all been to events that are facilitated by writers who are more comfortable with laptops than computers. There is nothing wrong with this, not everyone can be a great speaker. However when you are in a room with someone who looks like they are enjoying the experience not dreading it the overall effect is far more memorable and enjoyable. 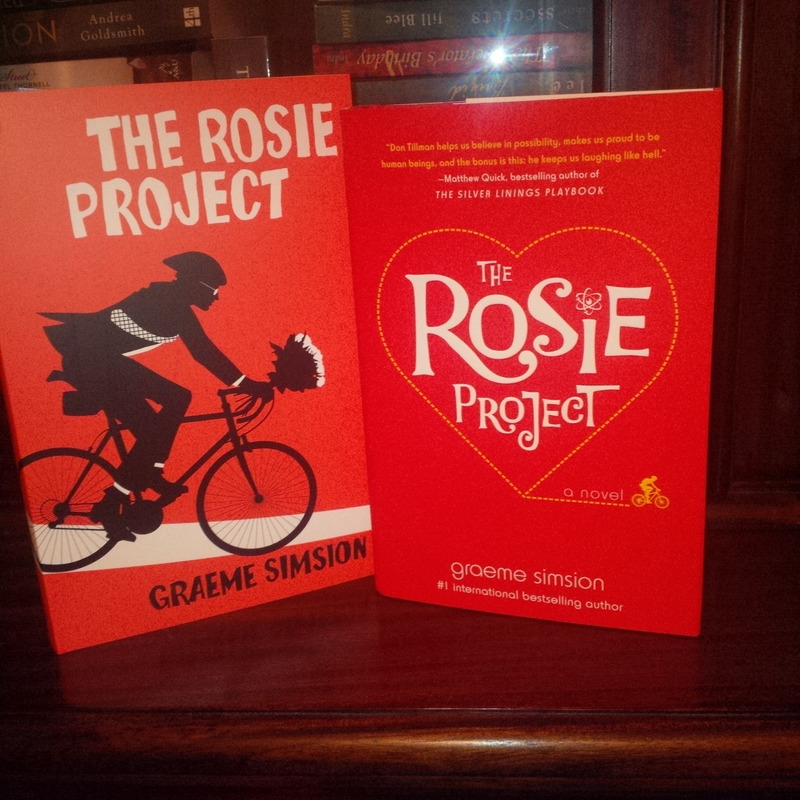 My signed US and AUS versions of ‘The Rosie Project’. Life Experience. Graeme spoke a lot about his life ‘pre-Rosie’. It was great to hear him talk about running his own company. It was a reminder that while you may be working away 9-5 as a project manager, baker, full-time parent, those skills will help your writing. Life experience is important. Skills like managing risks, timelines, challenging personalities help you in the years it takes to write a novel, not to mention give you some great stories and characters. Generosity. The highlight of the night (well for me anyway) was when Graeme gave me a copy of the US version of Rosie. It was 2 days after it launched and I was wrapped – I still am. So now I have a signed Aus version, a signed US version and I’m not prepared to part with either. The Rosie Project was great, but you don’t need me to tell you that, because everyone else has written about it already. Instead I’ll always remember how entertaining, friendly and generous Graeme Simsion is. When The Rosie Project becomes the next box office smash I won’t sob into my keyboard in a fit of jealousy, I’ll cheer him on. Another informative post from Melissa Watts reminding us to foster and value the little things in our development as writers. These articles are of great benefit as a review for those who may not have been able to hear Grahame Simsion speak on the night. This entry was posted on December 18, 2013 by Melissa Watts in Australian Literature, Ballarat Writers' Inc, On Writing, Writing Events and tagged Graeme Simsion, On Writing, The Rosie Project.